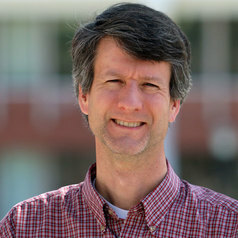 Steven Fesmire is Professor of Philosophy and Environmental Studies at Green Mountain College, and Visiting Research Scholar in Philosophy and ES Affiliate at Middlebury College. He is the author of Dewey (Routledge, 2015) in the Routledge Philosophers Series, awarded a 2015 Choice "Outstanding Academic Title." He is also the author of John Dewey and Moral Imagination: Pragmatism in Ethics (Indiana University Press, 2003), awarded a 2005 Choice "Outstanding Academic Title." He is editor of the 35-chapter Oxford Handbook of Dewey (Oxford University Press, forthcoming 2018) and is currently working on two book manuscripts: Ecological Imagination: Ethics, Education, and Politics, and Beyond Moral Fundamentalism: Pluralism in Ethics, Education, and Politics. He was a 2009 Fulbright Scholar at Kyoto University and Kobe University, Japan, and a 2016 Fellow at the Institute for Advanced Studies in the Humanities at the University of Edinburgh, Scotland.